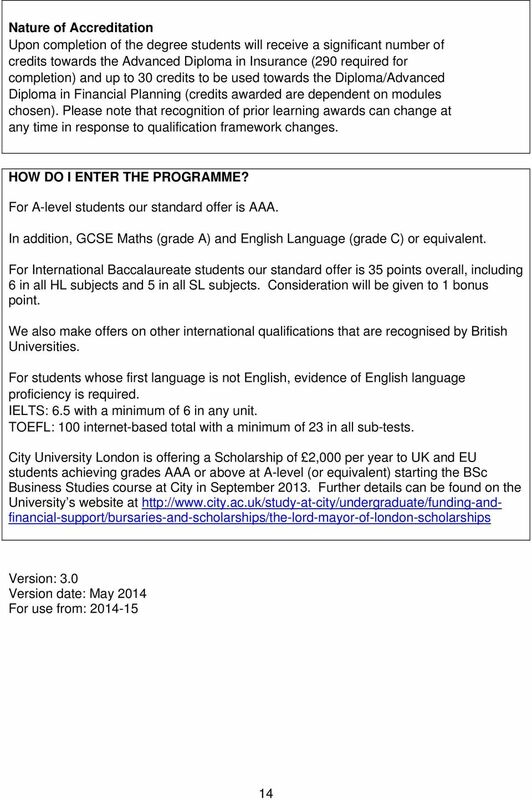 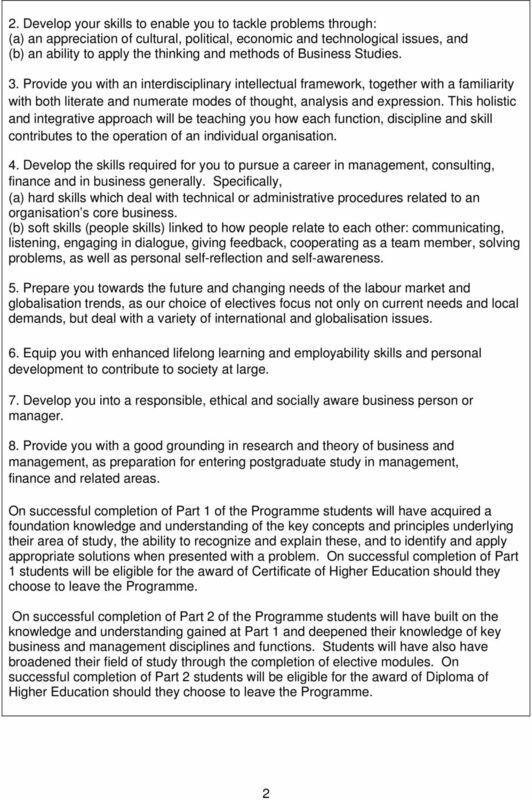 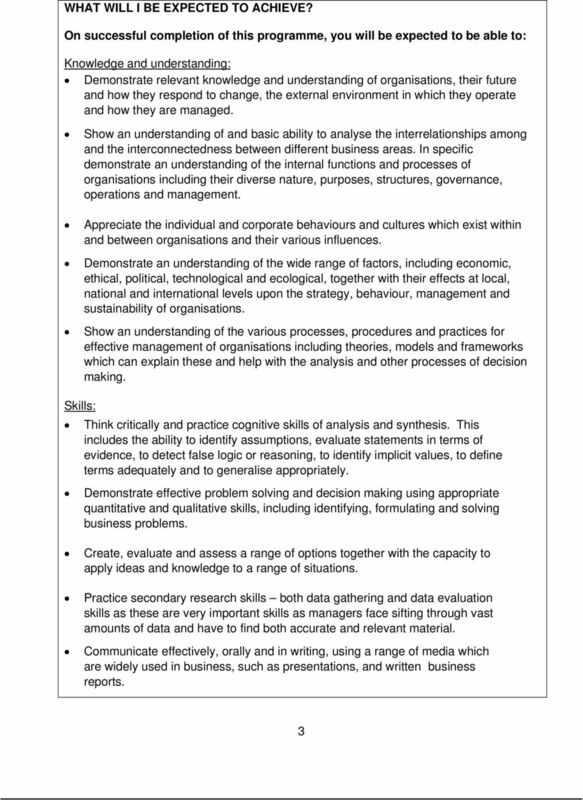 Download "PROGRAMME SPECIFICATION UNDERGRADUATE PROGRAMMES. 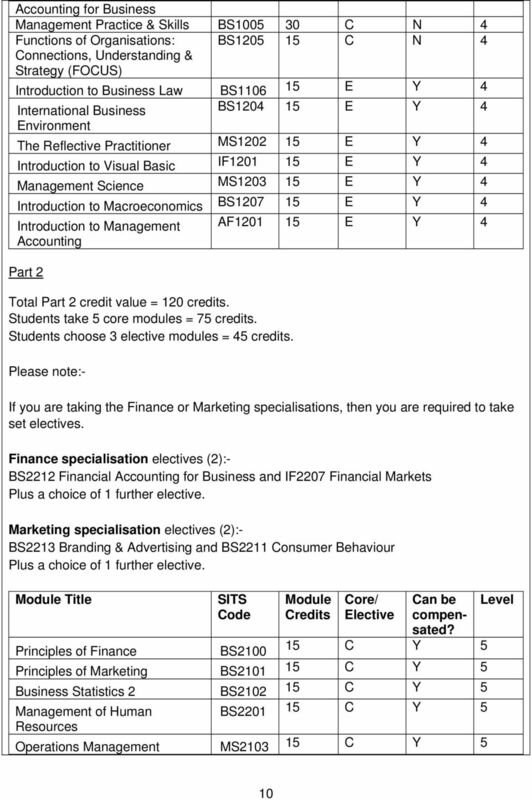 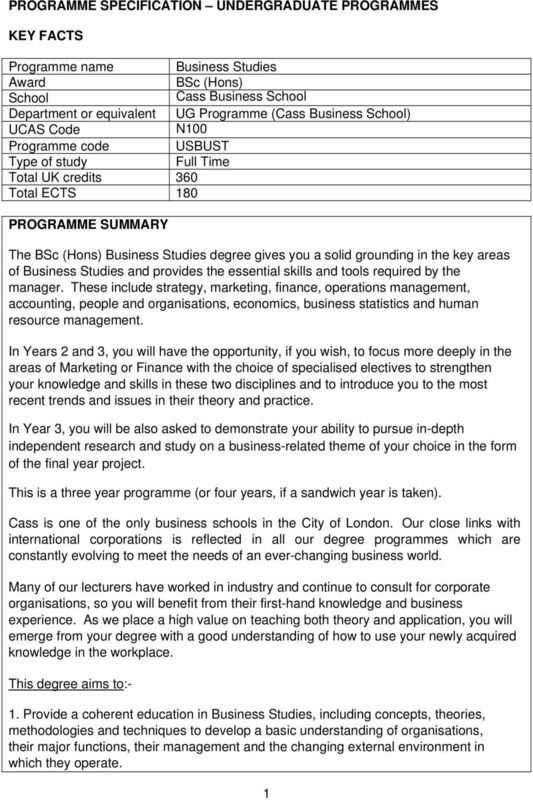 Cass Business School Department or equivalent UG Programme (Cass Business School) UCAS Code"
12 be awarded BSc Business Studies with specialism in Finance. 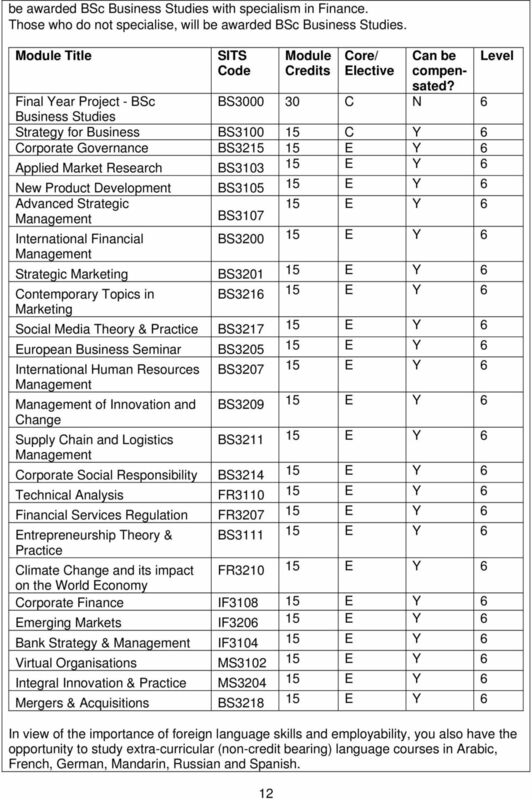 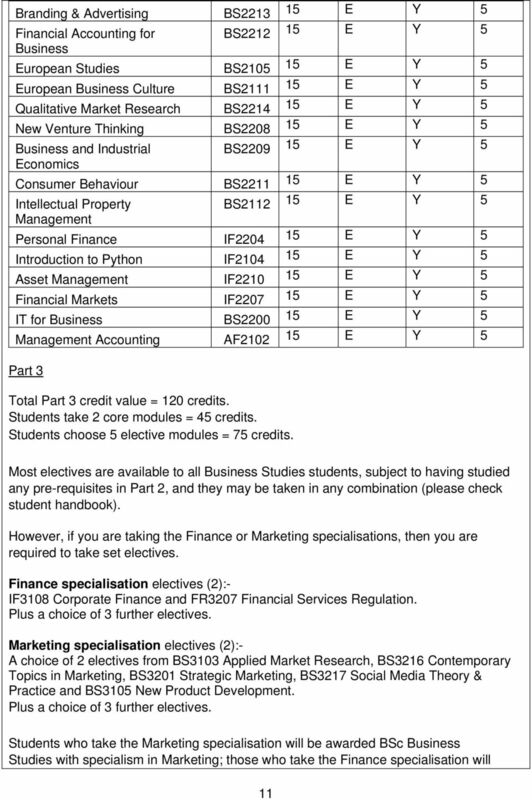 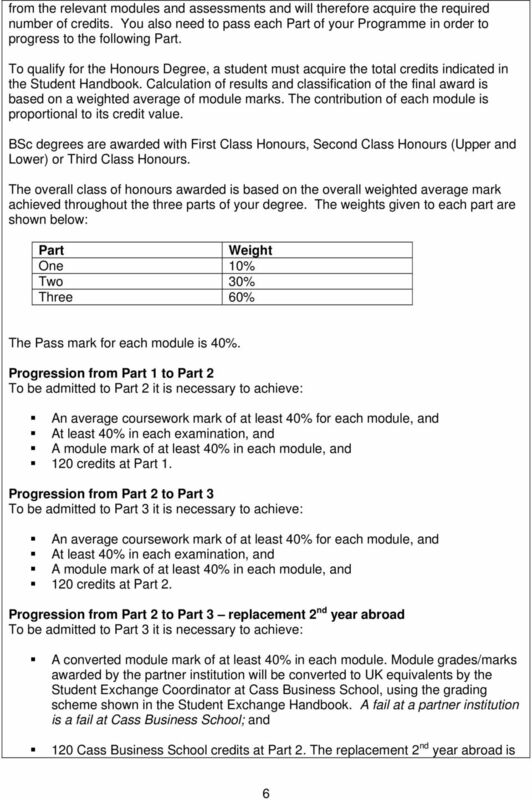 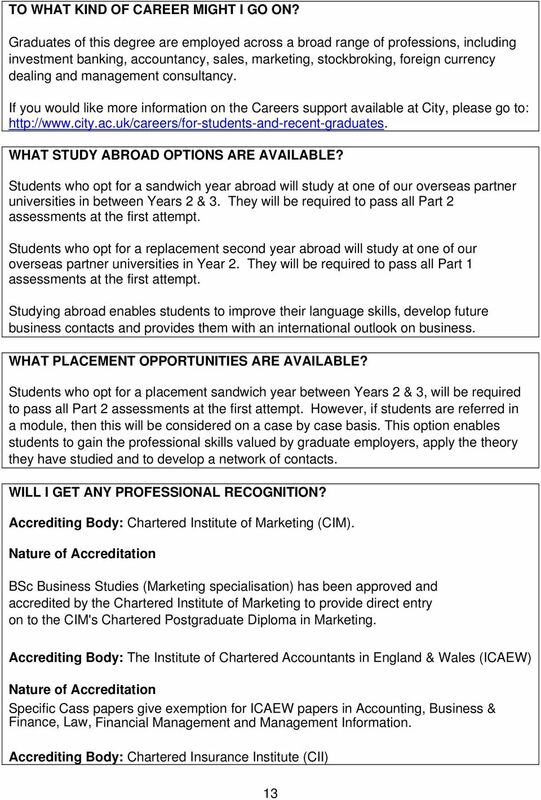 Those who do not specialise, will be awarded BSc Business Studies. 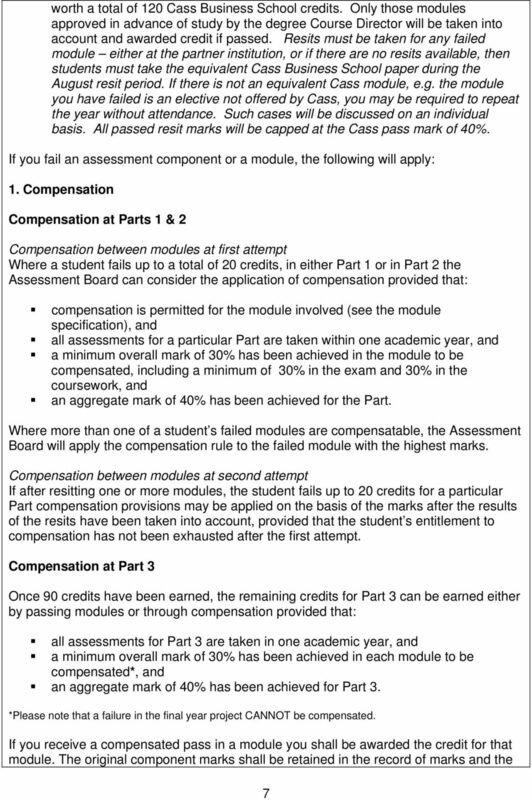 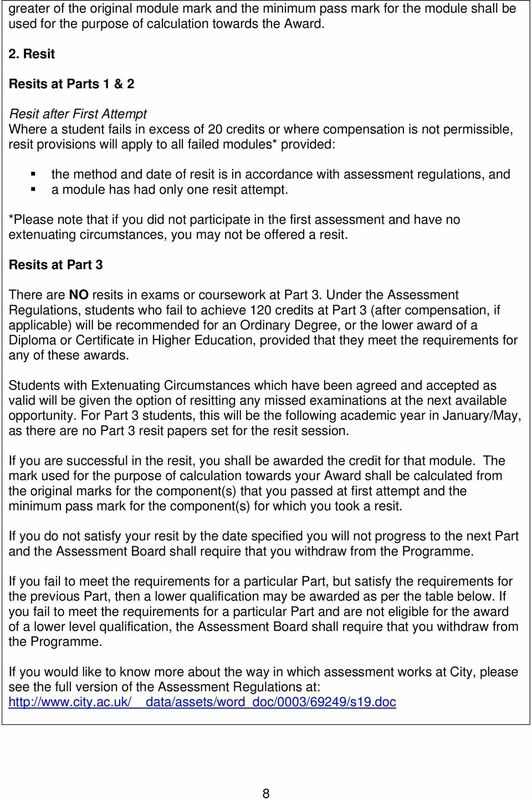 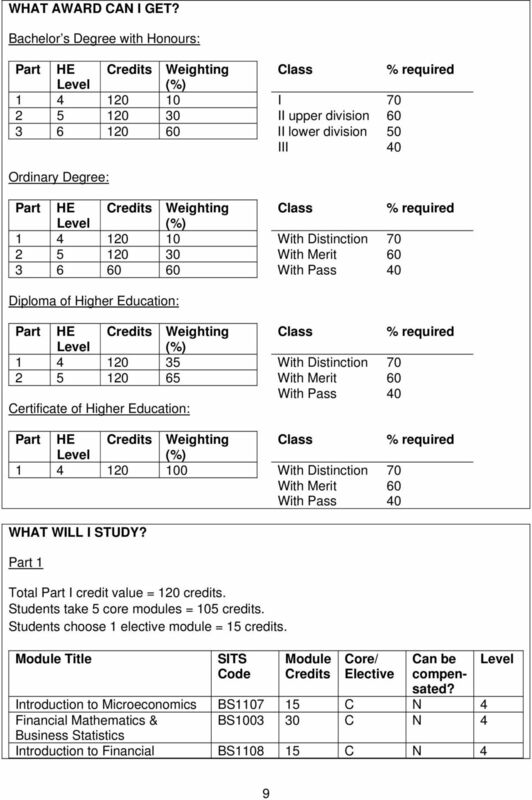 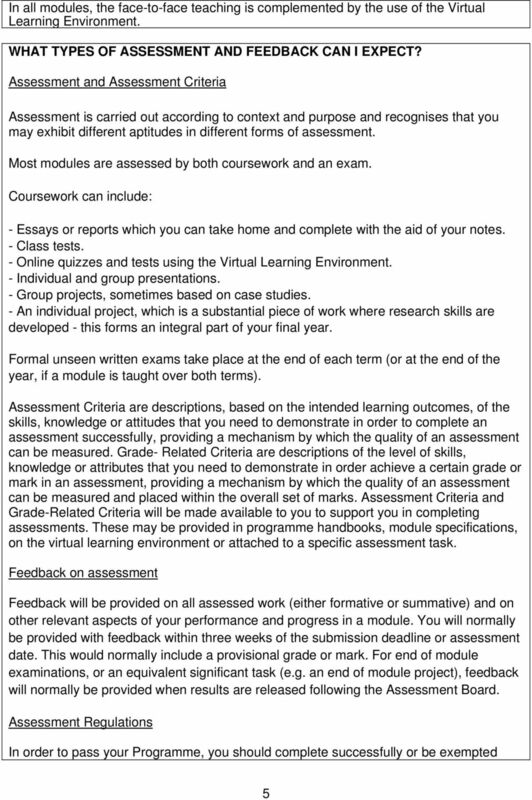 Module Title SITS Code 12 Module Credits Core/ Elective Can be compensated? 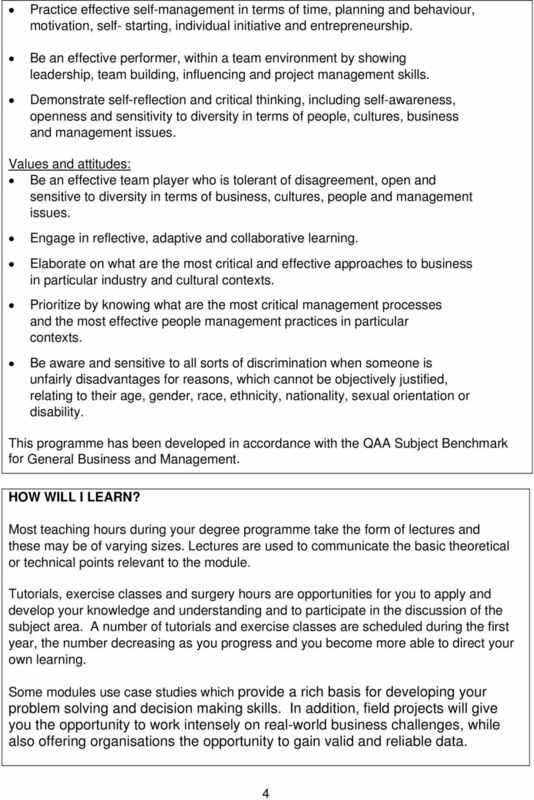 Final Year Project - BSc BS C N 6 Business Studies Strategy for Business BS C Y 6 Corporate Governance BS E Y 6 Applied Market Research BS E Y 6 New Product Development BS E Y 6 Advanced Strategic 15 E Y 6 Management BS3107 International Financial BS E Y 6 Management Strategic Marketing BS E Y 6 Contemporary Topics in BS E Y 6 Marketing Social Media Theory & Practice BS E Y 6 European Business Seminar BS E Y 6 International Human Resources BS E Y 6 Management Management of Innovation and BS E Y 6 Change Supply Chain and Logistics BS E Y 6 Management Corporate Social Responsibility BS E Y 6 Technical Analysis FR E Y 6 Financial Services Regulation FR E Y 6 Entrepreneurship Theory & BS E Y 6 Practice Climate Change and its impact FR E Y 6 on the World Economy Corporate Finance IF E Y 6 Emerging Markets IF E Y 6 Bank Strategy & Management IF E Y 6 Virtual Organisations MS E Y 6 Integral Innovation & Practice MS E Y 6 Mergers & Acquisitions BS E Y 6 Level In view of the importance of foreign language skills and employability, you also have the opportunity to study extra-curricular (non-credit bearing) language courses in Arabic, French, German, Mandarin, Russian and Spanish.